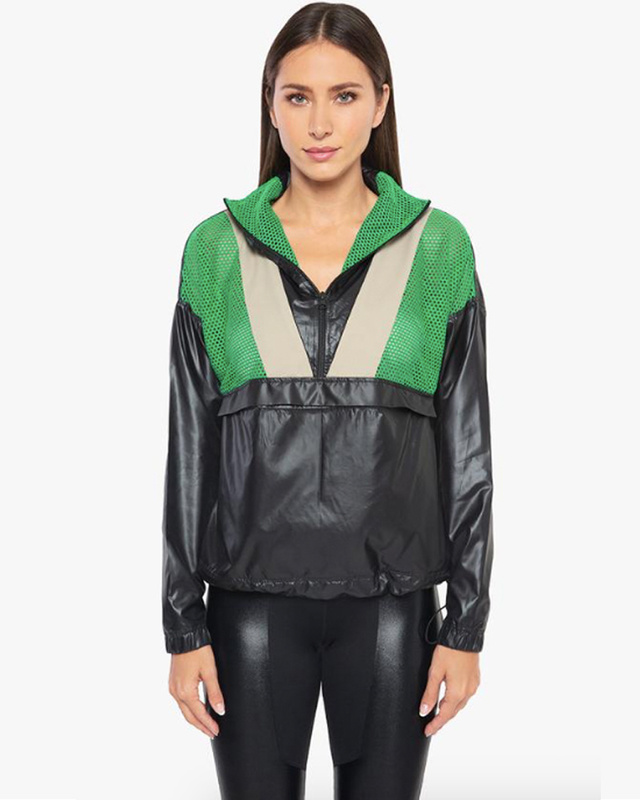 Regular fit anorak with front zip and “Verde” green mesh interior. 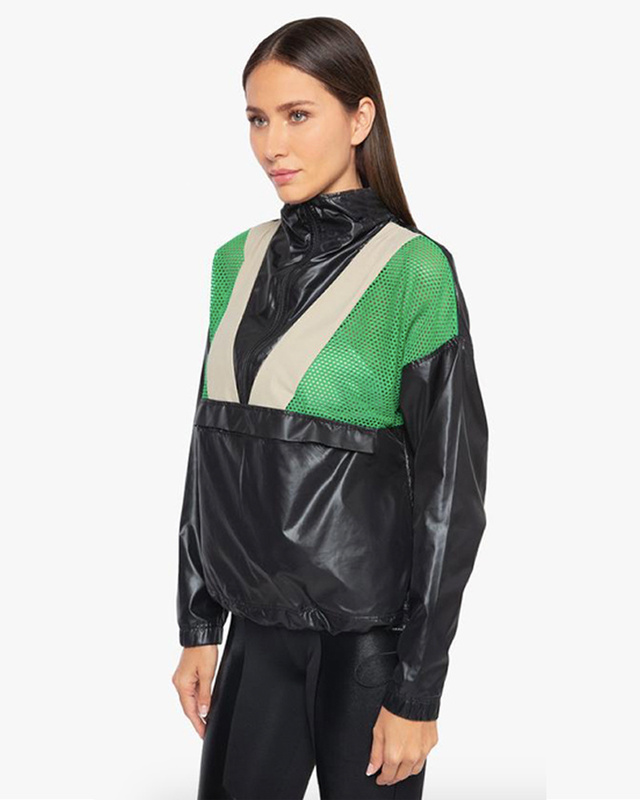 Featuring tribal-inspired color blocking at the front and slit with “Verde” green contrast mesh at the back. 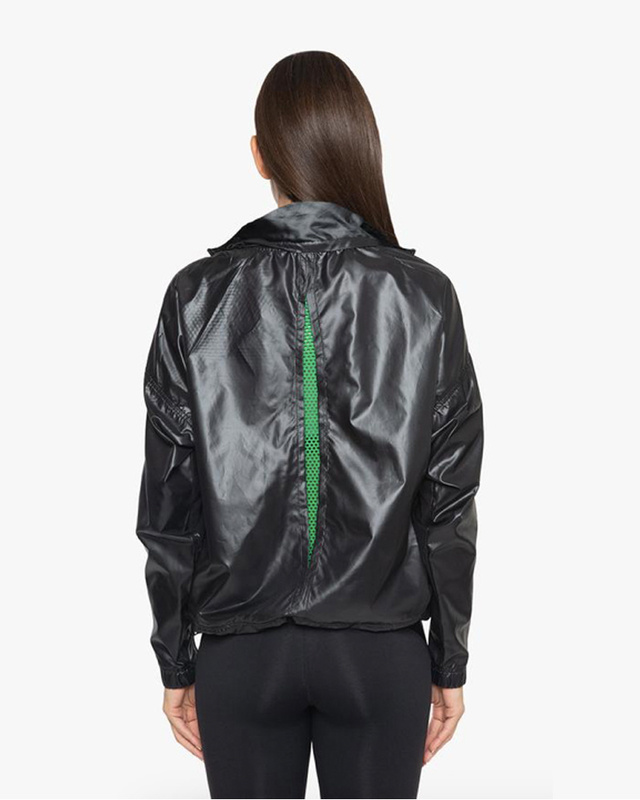 Large front pocket with snap closure. Drawcord with stoppers on both sides at bottom hem.